We work with many of our artisan partners one on one, others we visit in person but maintain relationships through our Producer Partners. 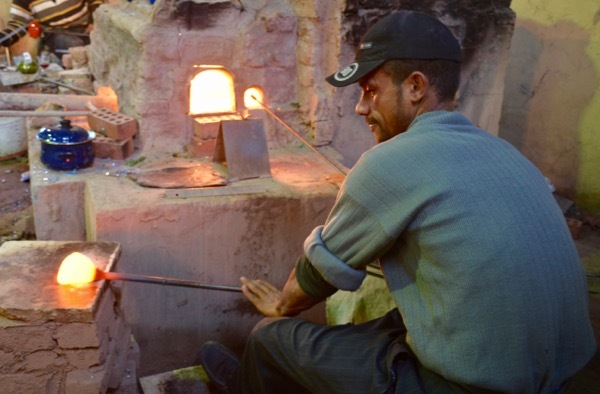 Located in a neighborhood of Cairo, El Nafeza is a quiet haven of industry and color. 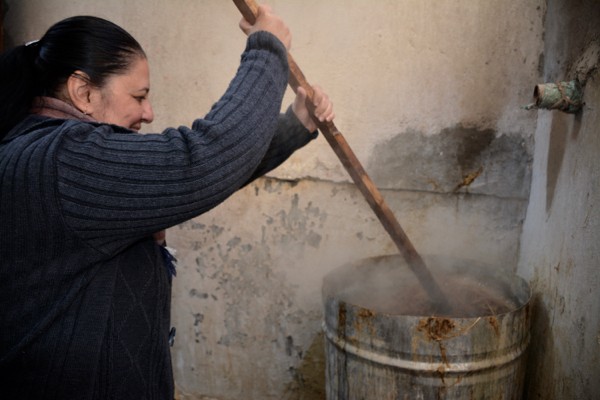 It is led by long-time art activist Enas who created this workshop to employ the hearing impaired and find an alternative to the pollution problem of burning rice straw. Using a grant from a Japanese paper group she learned how to make paper from scratch. The paper process at El Nafeza workshop. Cairo, Egypt. An inspiring partner founded by my friend Enas. El Nafeza, "The Window", is a workshop that makes paper from rice straw. Burning rice straw is a heavy pollutant. The staff is largely hearing impaired and do not have other opportunities for employment. 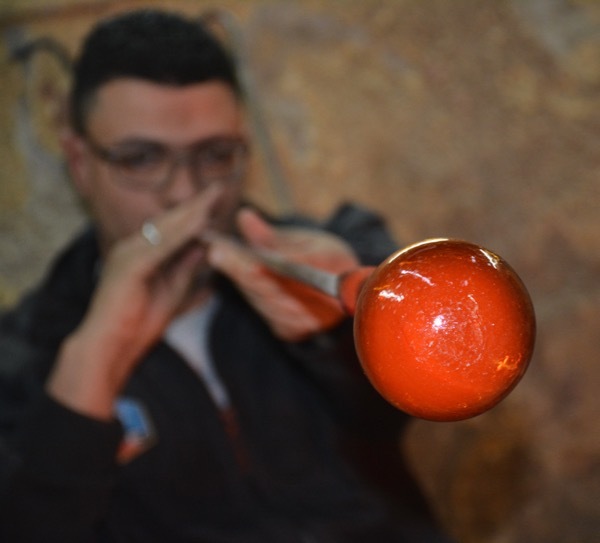 Located in the City of Tombs within modern Cairo, the glassblowers practice their ancient craft much like it was done a thousand years ago except for an electric fan and a light to work at night. Their homes and workshops reflect that as well, the City of Tombs is a community where centuries past poor artisan families moved into the small building size mausoleums left by in the Greek occupation of Egypt. Their art and community have been recognized as culturally unique by UNESCO. Most of their current work is beautifully bubbled and has weight because it is recycled, the glass powder (or Corning as they call it) we see in the US is too expensive to import. While we lament their inability to make everything they want we are big fans of what they create in the characteristic recycled style. They are talented and flexible, some of the videos show Susie De Rafelo and Rania Seddik describing new product design while the glass is being blown. We hope to help keep this art form alive and maintain it's roots while meeting the needs of the modern consumer. This community used to have hundreds of glassblowers but are now down to about five inter-related families who eke out a living a few shards at a time. Visiting the workshop of Mr. Hodhod (Hassan Ahmed Ali) in the "City of the Dead", Cairo, Egypt. Mr. Hodhod is one of our glass suppliers and the subject of the movie Kaboria. This is Mr. Hodhod's cousin, also a master glassblower. Visiting the workshop of Mr. Khaleed in the "City of the Dead", Cairo, Egypt. Mr. Khaleed is one of our glass suppliers. He is attempting a new design for a lid.